Opening hours Basilica: daily from 7 a.m to 8 p.m. 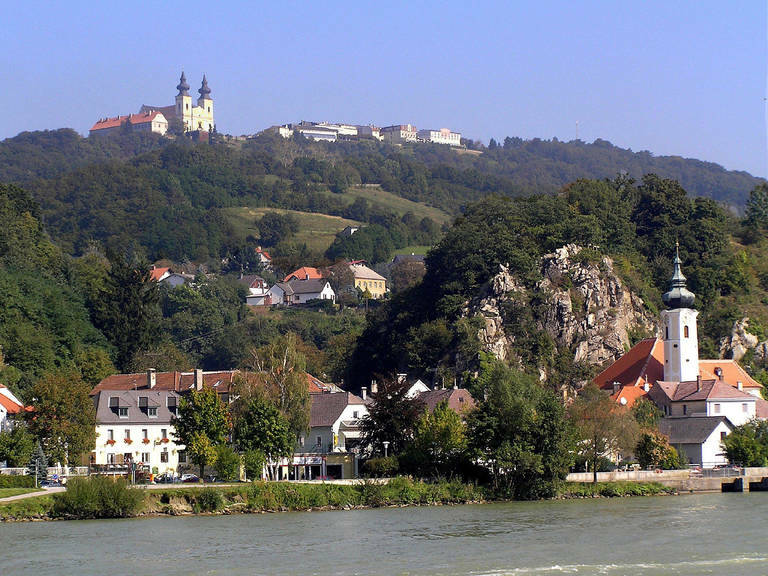 The town of Maria Taferl is on the north bank of the Danube. 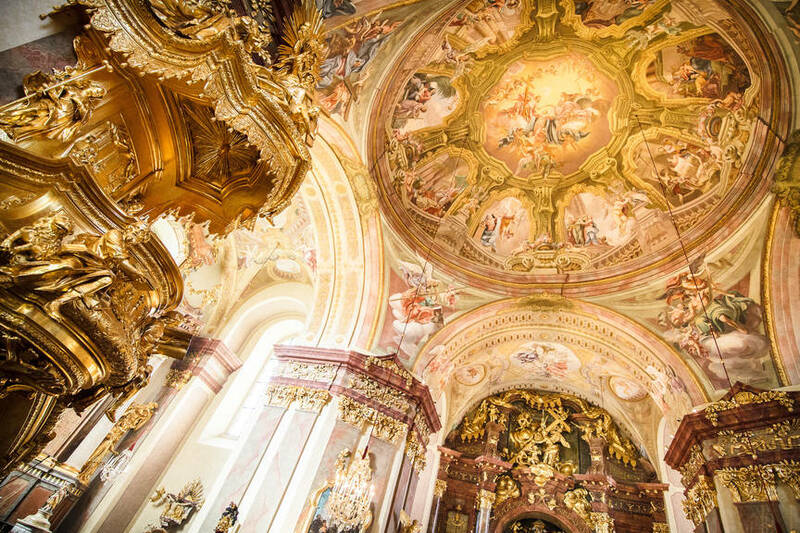 The pilgrimage church of the same name is a holy shrine in Lower Austria dedicated to the Dolorous Mother of God. This church to the Virgin Mary sits picturesquely enthroned on a hilltop 233 m above the Danube. From this perch, visitors enjoy a sweeping, 300 km view extending over the Danube Valley to the hills of the Mostviertel and beyond to the Alps. The cornerstone of the church was laid on April 25, 1660. The site had been a shrine with devotional images of the Virgin Mary on a panel, hence the name ("Maria Taferl", i.e. Mary Panel). The building was constructed according to the plans of an unknown master builder, initially under the supervision of Georg Gerstenbrand, a Lower Austrian court architect. Carlo Lurago, an Italian architect working mostly in Bohemia, took over from him starting in 1671. He was followed in 1707 by Jakob Prandtauer, who was commissioned to complete the project. The basilica treasury is a room with splendidly colorful frescos in a folksy Baroque style. The ones on the ceiling depict the creation story and others on the walls portray accounts of miraculous cures and rescues.